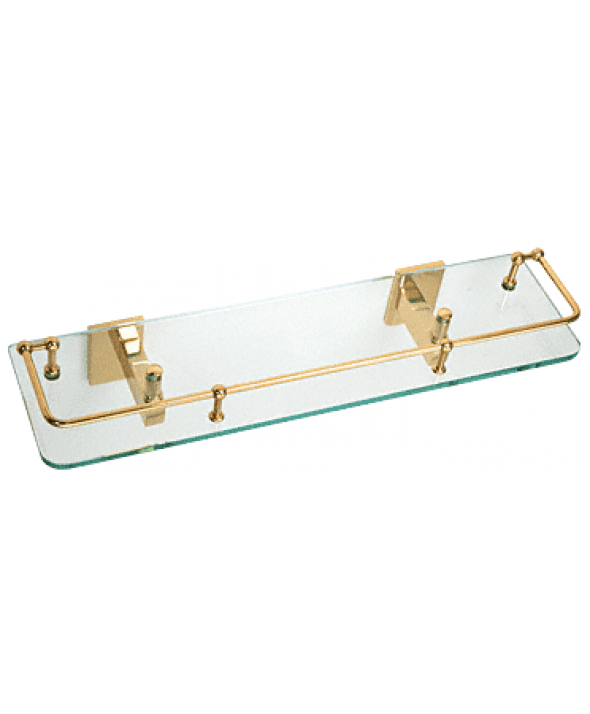 This beautiful 5/16 inch (8 millimeter) thick glass Geneva Series Glass Shelf has a polished flat edge with arrises, and measures 18 x five inches (457 x 127 millimeters). Supported by two Geneva style wall-mounted brackets with concealed fasteners. A decorative retaining bar that pivots will help keep bottles and other small items from slipping off of the shelf.